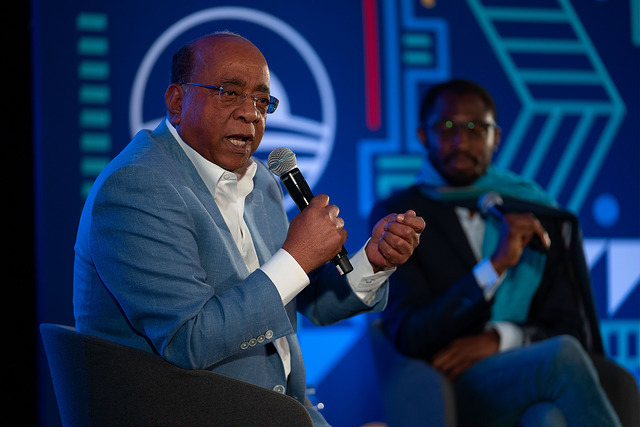 On Monday, the Obama Foundation continued its Leaders: Africa gathering, a 5-day convening of 200 rising leaders from 44 countries representing the public, private, and nonprofit sectors. The convening is part of a one-year leadership development and civic engagement programme designed to train, support, and connect emerging African leaders to create positive change in their communities. 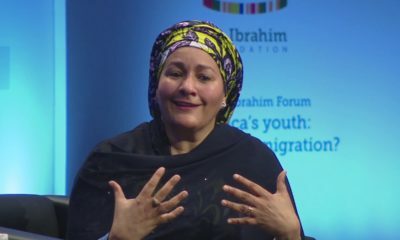 The convening includes plenary sessions, problem-solving workshops, leadership sessions, and skill building training to increase the Leaders’ capacity to drive positive change in Africa. Leaders will also complete a group service project to honour Nelson Mandela on the 100th anniversary of his birth and to underscore the important relationship between leadership and service. 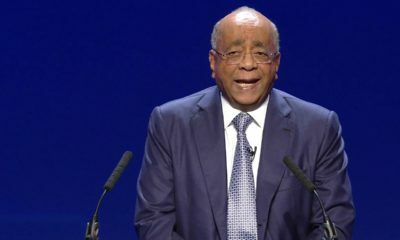 The gathering’s first plenary session, “Ethical Leadership in Africa” features Mo Ibrahim being interviewed by Uzodinma Iweala. 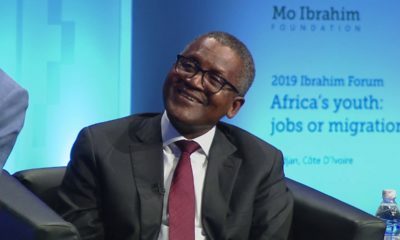 During the dialogue, Ibrahim offered advice on leadership and spoke about the responsibility of Africans to create a better future for the continent. Watch other videos from Monday, July 16th 2018. Graça Machel, Thulisile Madonsela, and Bogolo Kenewendo participate in a session on “Leadership in the Face of Adversity” moderated by Nozipho Mbanjwa as part of the Obama Foundation Leaders: Africa program in Johannesburg, South Africa on July 16, 2018. Fred Swaniker, Sangu Delle, Maryana Iskander, and Judy Sikuza sit down for a provocative discussion on future trends in Africa and the implications for the next generation of leaders as part of the Obama Foundation Leaders: Africa program in Johannesburg, South Africa on July 16, 2018. Jason Njoku, Bina Maseno, Patrick Awuah, and Khanyi Dhlomo discuss the benefits of being courageous in all pursuits, and the importance of learning from – and persisting through – failure as part of the Obama Foundation Leaders: Africa program in Johannesburg, South Africa on July 15, 2018.